Both are postgraduate programmes and their curriculum is structured around General Management. MIM Admission Counselling experts will inform you that a GMAT score, usually a pre-requisite to enrol in an MBA programme, is not mandatory for all the schools offering MIM programmes. 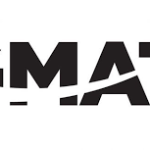 Only 40 percent of the MIM programmes ask for a GMAT score. MIM Admission Counselling experts will be able to tell you which schools have this requirement. Through MIM Admission Counselling you will learn that the MIM programmes are typically designed for individuals who are fresh out of college. If you have recently completed your graduation or have just one or two years of professional work experience, you should ideally opt for an MIM programme. The MBA programmes are designed for people with few years of work experience. Hence, the MIM students are usually younger than the MBA students. You will learn during MIM Admission Counselling that the MIM programme curriculum is more theoretical in nature compared to the MBA programme curriculum. The MIM is less practical while the MBA programme offers real-world experiential learning opportunities. This does not imply that the MIM programme is deficient in terms of its offerings. The MBA programme, since it is designed to cater to people with few years of professional experience, has more advanced courses compared to the MIM programme which caters to individuals with no experience or very little experience. It is unfair to compare the job opportunities and salary ranges of individuals who have completed an MIM programme to that of individuals who have completed an MBA programme. The true comparison should be between a professional with 3-4 years of experience who just passed out of an MBA programme and an individual who gains 3-4 years work experience after an MIM programme. The MIM Admission Counselling services providers can give you the data comparison between the two. You will be informed by these MIM Admission Counselling services providers that you will be offered entry-level management positions post your MIM and slowly making your way up the ladder, you will be able to reach the position that MBA graduates will achieve post the completion of their MBA. MBA programmes are usually offered in the US while the MIM programs are mostly offered in Europe. MIM Admission Counselling experts can help you with selecting the right MIM programme which will promise you a higher salary. These MIM Admission Counselling experts will advise you to join a programme which has acquired accreditation, offers specialized opportunities and accepts students from a business or economic background. 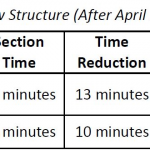 This ensures a faster job entry after completion of your MIM.